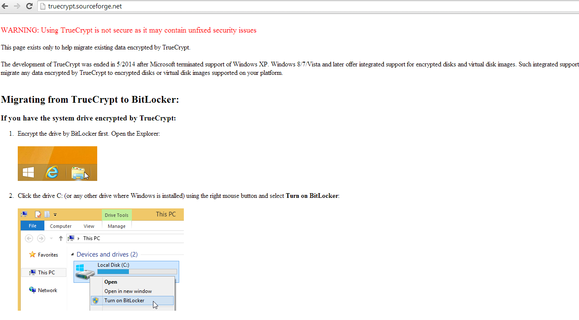 TrueCrypt, the popular open-source encryption program, on Wednesday unexpectedly recommended that users drop its product and shift to Microsoft’s Bitlocker. The move was especially puzzling, given that TrueCrypt, a popular security choice for PCWorld users for several years, had recently passed the first round of a security audit. iSec, the firm that did the audit, found 11 flaws, but none that were immediately exploitable. Otherwise, iSec said it “found no evidence of backdoors or intentional flaws”. Matthew Green, who teaches cryptoanalysis at Johns Hopkins and who worked on the audit, tweeted that he thought the change was a legitimate exit on the part of the developer, and not a hack. He said that he had attempted to contact the developers, and not heard back from them yet. But The Register is reporting that the most recent version of TrueCrypt appears compromised. Last I heard from Truecrypt: "We are looking forward to results of phase 2 of your audit. Thank you very much for all your efforts again!" 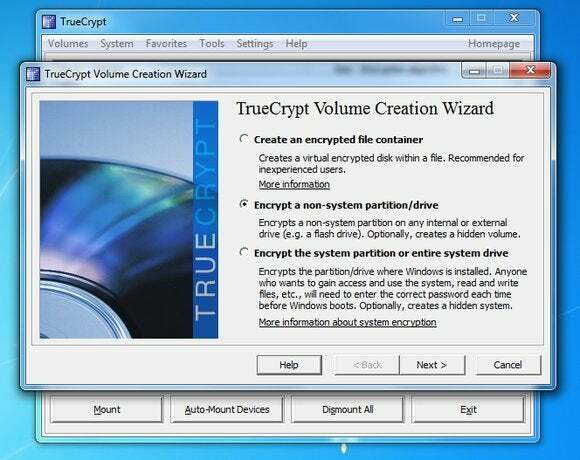 In the meantime, it’s probably best that users who were going to download TrueCrypt simply hold off, until more information is revealed. This story was updated at 9:38 AM on May 29 with additional details.